Always a pleasure to work with the editors of Food + Wine magazine. Here’s Honolulu on their 2014 Go List. The hard part is culling down the list. Believe me, my initial report on what’s new in Honolulu included a lot more establishments. Another hard part is making a list that will be good for at least six months—just after this came out, Vintage Cave announced chef Chris Kajioka is leaving the restaurant at the end of June, and completely revamping its menu concept. Wah. 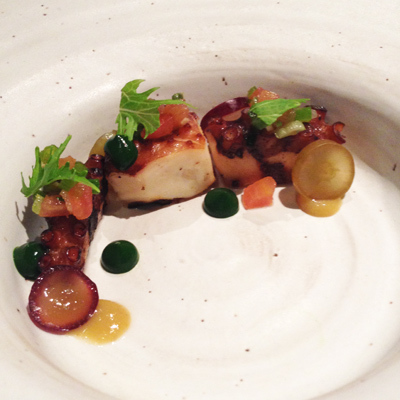 Pictured above is the tako dish from my last ever visit to Vintage Cave Honolulu (thank you @onokinegrindz).